Today, I found this amazing blog called Atlantic-Pacific and this girl has exceptional style! Whilst scrolling through the contents of her blog I came across this outfit which I absolutely adore- the whole outfit works like a dream and I love the use of these two different gingham prints together and the Miu Miu heels- what can I say?- WOW! Please do check out her blog because its incredible: http://atlantic-pacific.blogspot.co.uk/ and this is why this image is my image of the day!- Enjoy! 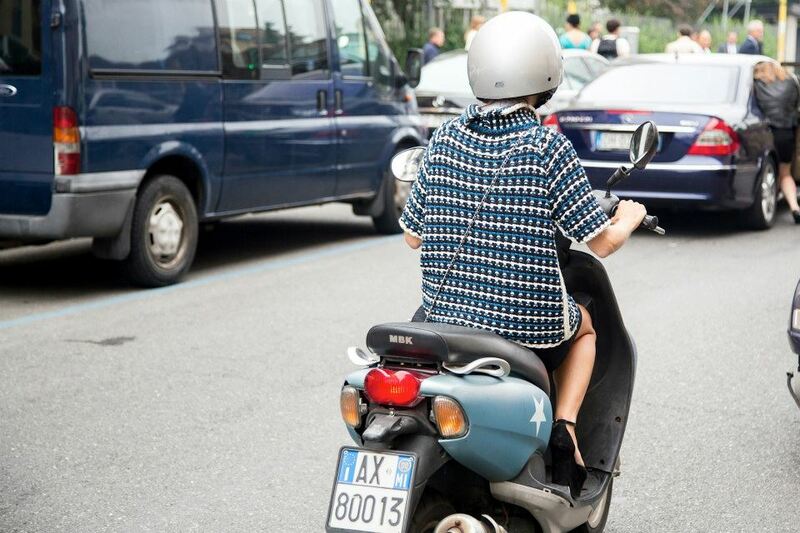 This street style pic is taken from Milan Fashion week and effectively presents Miroslava Duma’s flawless style and supports the fact that she is seen as a fashion icon internationally. Miroslava here is wearing this truly flamboyant Louis Vuitton coat with a warm brown and pinky colour pallete. I particularly like the addition of the silk head scarf as it looks very chic and elegant. Plus, I am lusting over her delightful velvet strappy wedges! Miroslava I adore your style!- Enjoy! I’m definitely too young to be getting married any time soon but at the sight of this breath-taking gown I can dicipher a faint sound of wedding bells clanging in my ears! 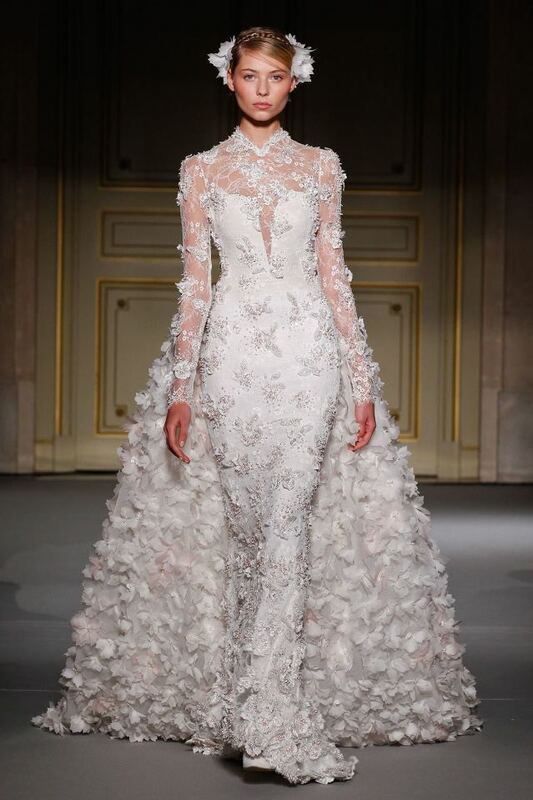 This wedding dress image is taken from Elle.com and is part of Georges Hobeika’s Spring/Summer Collection! This image earns it’s rightful place of my image of the day, purely because its intense beauty and attention to detail struck me back in my chair. In addition is really accentuates the female silhouette and yes I would be the happiest girl in the world if my wedding dress even vaguely resembles this one!- Enjoy! Loving this image from Topshop Tumblr!- Warm chunky knits are an essential for Autumn/Winter and this particular one effectively adds a pop of colour and a dash of vibrancy, to an otherwise plain look! In addition I’m incredibly captivated by this image as I think it truly portrays the fast pace of life in the city and the kinds of people who live within it!- Hope you like it!- Enjoy! I’m absolutely loving this mini Eiffel Tower bag which I found on the Topshop Facebook page!! Little quirky bags like this really add a cute aspect to an outfit and this one has been styled to perfection!! I also adore this sugar pink peplum style skirt! !- Such a devine street style look! !- Enjoy! !